In today’s secular society, which is often filled with meaningless rhetoric, it is encouraging to report that the Assembly of Canonical Orthodox Bishops of North and Central America is progressing toward its stated goals. In December, a historic teleconference of Assembly committee chairmen brought together representatives of all Orthodox jurisdictions in North America. The Secretariat– which holds monthly teleconferences – held its second annual face-to-face meeting Jan. 24–25 in Riverside, Calif., hosted by Fr. Josiah Trenham of St. Andrew’s Church. Those attending included Bishop Basil (secretary of the Assembly of Bishops), Archbishop Antony (treasurer), Bishop Andonios, Bishop Maxim, Fr. Mark Arey, Fr. Nicholas Ceko, Hierodeacon Benedict (Armitage), Protodeacon Peter Danilchick, and Messrs. Alexei Krindatch, Alex Machaskee, and Eric Namee. A highlight was “Conversations with Our Bishops,” a series of audio interviews of the Assembly’s 53 member hierarchs conducted by Fr. Trenham, which was warmly received. The interviews provide a broad swath of perspectives to the Church-at-large on the Assembly’s significance and work. This far, 17 interviews have been completed and new interviews are regularly available at www.assemblyofbishops.org. At the Secretariat meeting’s conclusion, much excitement was generated by the idea that the Assembly consider planning an event in the near future to encourage all ACOB agencies (IOCC, OCMC, OCF, and others) to hold their annual meetings simultaneously at the same venue with the Assembly. 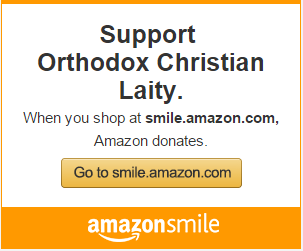 This would include a major youth event and a concelebrated Liturgy as a major celebration of Orthodoxy to vividly demonstrate unity for Orthodox Christians. Four committees–Financial Affairs, Youth, Pastoral Practice, and Canonical Regional Planning–have all held recent meetings. Of particular note is the Committee for Youth’s Jan. 24–25 meeting at the Antiochian Village Heritage and Learning Center, in Bolivar, Pa. The committee met in conjunction with the annual Camp and Youth Worker Conference that drew youth workers of many jurisdictions. By developing models for cooperative youth activities and programs, the committee hopes to maximize participation by our youth in the full life of the Church. The Committee sees its work as a pathway to transforming our youth to lead their lives in service and witness to Christ. While some of the other committees report slower progress, all are committed to accelerating, in 2012, accomplishment of the charges they have been given through their Terms of Reference. In this ruling by HHS, religious hospitals, educational institutions, and other organizations would be required to pay for the full cost of contraceptives (including some abortion-inducing drugs) and sterilizations for their employees, regardless of Assembly of Canonical Orthodox Bishops: Year in Review the religious convictions of the employers. The Assembly’s priority issues in 2012 include formal adoption of the By–Laws. The By–Laws have been drafted and are currently under review; all member bishops will soon be given an opportunity to comment on them. At present, the Assembly does not have an established mechanism for endorsing Orthodox organizations. A process for endorsement is under development. A “statement of principles” is also being created to define the relationship between the Assembly and endorsed organizations. they would provide an opportunity for clergy and laity to ask questions about the Assembly and the work of the committees. The Assembly implores all Orthodox to take an interest in its work and asks that they encourage their bishops to become engaged and active in its mission. Financial donations are also greatly welcome in order to fund the activities of the Assembly. 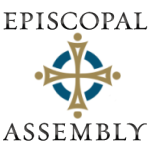 Donations can be made by mail or through the Assembly’s website, www.assemblyofbishops.org. For detailed reports of the committees making significant progress, such as Financial Affairs, Canonical Regional Planning, and Pastoral Practice, consult the website. 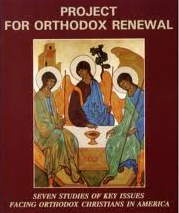 The Assembly of Canonical Orthodox Bishops of North and Central America was formed by the 4th Pre-Conciliar Pan–Orthodox Conference in Chambesy, Switzerland in June, 2009. It is one of 12 worldwide assemblies that were formed. The Assembly replaces the Standing Conference of Canonical Orthodox Bishops of America (SCOBA) and has assumed all of its agencies, dialogues and other ministries. The Assembly is comprised of all active, canonical Orthodox bishops of North and Central America of every jurisdiction. A common witness by the Church to all those outside her. In addition, the Assembly has an expressed goal of organizing the Church in North and Central America in accordance with Orthodox ecclesiological and the canonical tradition. The 13 committees under the Secretariat are responsible for canonical affairs, canonical regional planning, church and society, clergy affairs, ecumenical relations, financial affairs, legal affairs, liturgy, military chaplaincy, monastic communities, pastoral practice, theological education, and youth. The ACOB committee chairmen will meet on Wednesday, May 30, in South Bound Brook, N.J., hosted by Archbishop Antony. The 2012 full Assembly meeting is scheduled for Chicago in September. This report was prepared by ACOB’s Program for Communications: Alex Machaskee, Senior Consultant, Chrysanthe Loizos, Nikki Stephanopoulos, and Sharon Rubis.